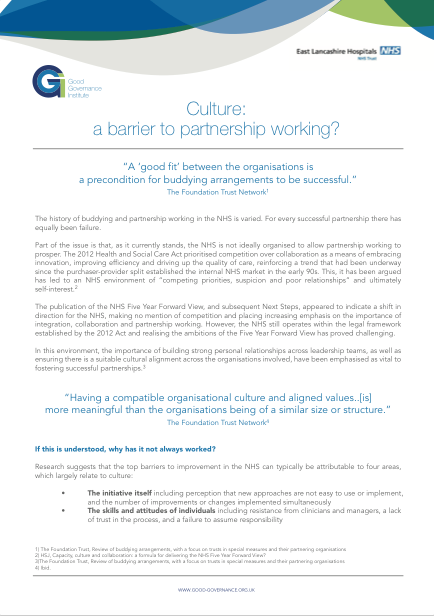 The history of buddying and partnership working in the NHS is varied. For every successful partnership there has equally been failure. In this environment, the importance of building strong personal relationships across leadership teams, as well as ensuring there is a suitable cultural alignment across the organisations involved, have been emphasised as vital to fostering successful partnerships.